It’s been awhile, and I almost feel like I need to introduce myself all over again! I’ve been across the world and back, and it seems my very being has expanded, if not changed, in that all of the different cultural experiences have manifested into my being a different person. However, I’m still a book-loving, Pepperdine student, and if you want to know more, peep that “About Me” page. I was thinking about my writing style and how I want it to be improved or reinvented for this next series of blogs that will focus on travel, but in all actuality, I think that anything new would be a fabrication of who I really am, so we’ll keep it OG. 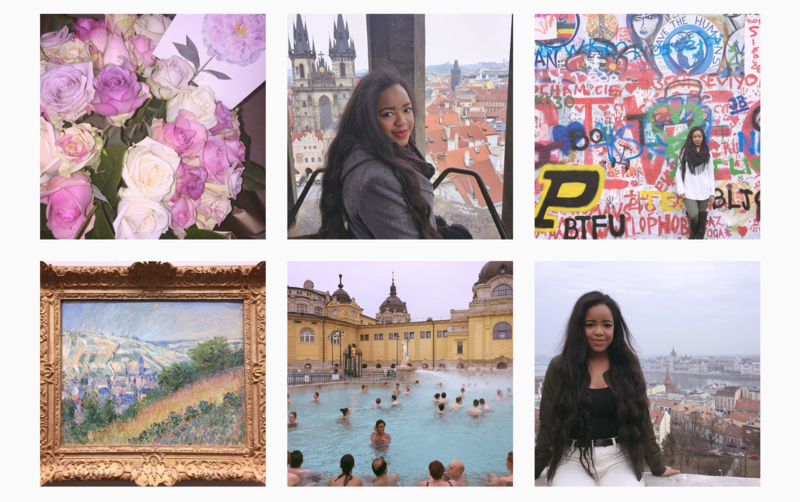 I am not starting at the beginning of my travels, but instead I am beginning at one of the most, well, involved trips I took because I was country-hopping through out Eastern Europe. Budapest was my first destination for this trip trifecta, and I have to say it was my favorite. It could be my favorite because I was the most eager and energetic there, as it was the first stop, but honestly, once you see the pictures I think you’ll know there is more to it than that. Honestly, all I knew about Budapest was that there is a movie called “The Grand Budapest Hotel” about a hotel that is, unfortunately, fictional, and that, also, George Ezra wrote a catchy song called “Budapest” that I, admittedly, played and sang the entire time that I was in the city. I learned after arriving that it is, in fact, in Hungary and that there are a ton of worthy places in this touristy town. The thermal baths had to be my absolute favorite activity on this trip, and even though we (I travelled in a group of five) walked forty-five minutes in the freezing cold and snowy weather after spending an hour in a warm bath, I felt like I was thriving. You’re never really living until you send your body into a state of life-threatening shock in a foreign country (I’m exaggerating). this whirlwind of a time), but I like to joke and say that my day in Vienna was a day spent with Monet. Vienna is full of beauty and history, and I could’ve spent a week there, contrary to common belief. I do have fond memories of a pastel pink museum named the Albertina Museum where I found lots of Monet’s beautiful, legendary gems. So, thanks Monet for that. One thing I noticed all over Eastern Europe, but predominately in Austria and the Czech Republic was that the men are very different from the men in the US. Now, I realize that this is a generalization, and so I apologize if I offend, so maybe I should rephrase: my experience with the men was totally different than my experience with the men in the US. In Austria the men were forward… much too forward for my liking. With a group of five women, we were constantly cat-called. I almost lost my mind when a man came up to me and ran his hand through my hair and proceeded to tell me how beautiful I am. Compliments are sweet, but my hair??? Eww! It was comical for the most part, but I draw the line at being touched. In my opinion, Eastern Europe has some of the most attractive men in the world, and really, it’s a mix of people with nationalities from all over the globe. Their swagger, however, seemed to show that they were well aware of their attractiveness which made for some very forward encounters with strangers that a boyfriend-having female like me didn’t want. Last destination on our trip was Prague, or Praha, as I like to say when I’m feeling pretentious. Prague is known as a big party city, but we didn’t go out at all. Probably best, though, because we were exhausted and spent in all honesty. But that didn’t get in the way of us having a fantastic time. My favorite activity in Prague was going to the John Lennon Wall. I expected some mile-long masterpiece, but instead I received a modest-lengthed wall with so much heart and soul that my own did a couple leaps. Embarrassingly, I could have spent way too much time at this wall. There was a performer singing songs by The Beatles, and between finding small, beautiful sayings and “Here Comes the Sun” I felt at peace. I have to say that I am a nerd for quotes and a repeated over-analyzer, but really it was special and still holds a unique spot in my heart. Amazingly, my friends and I returned to the wall the next day, and it had new words and sayings. In just one day the wall had changed so much while still remaining it’s beautiful, unique self and isn’t that the meaning of life in simple terms? People from all over the globe came and left a little part of themselves on this wall through paintings and words that spoke to me louder than anything else on this trip. John Lennon Wall. My favorite piece of calligraphy was the Save the Humans sign because isn’t that, in a way, the ultimate goal in life?